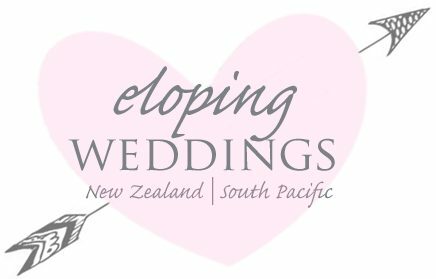 Booking Cathedral Cove weddings is easy with our eloping wedding packages throughout the Coromandel in New Zealand. Our packages are prefect for the travelling bride and groom that want to elope and marry somewhere totally unique. You can’t get more unique that Cathedral Cove. Cathedral Cove weddings take advantage of the stunning blue waters, amazing marine life and myriad of caves that shape this sea side town on the east coast of New Zealand. Getting married in a huge cave will amaze your family and friends when you return home with stunning pictures. Cathedral Cove is close to the main Coromandel town of Whitianga and offers a very laid back and relaxing wedding while on holiday. There is a few complications regards weather, water taxis and crowds that can be had with Cathedral Cove weddings so contacts us so we can talk you through the details and advise the best time of the year. This very special area of NZ is only a few hours drive from the countries biggest city, Auckland. This is the largest of New Zealand’s international airports and quite likely where you will arrive. It is a very cute and fascinating place and offers lots of amazing photo opportunities with a myriad of white sandy beaches, stunning little coves and offshore islands. Being close to Hot Water Beach you can make your very own natural spa after your ceremony. It is a natural wonder that brings thousands of visitors to New Zealand every year. It’s a great place to marry and very picturesque. Of all New Zealands beach weddings, Cathedral Cove would be the most unique. On a busy day at peak season this very small little beach can hold 3000 tourists. Talk to us first. That’s right, we can arrange everything you need for a successful wedding. Packages include water taxis for ease and convenience. 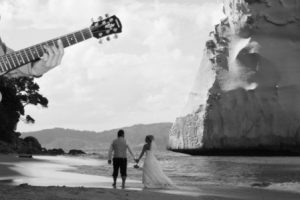 Why get married at Cathedral Cove? Cathedral Cove weddings and the surrounding area of the Coromandel all boasts delicious beaches, great fishing, glass bottom boat tours, world class scuba diving and natural untouched coves. Its also famous for ‘Hot Water Beach’ which you can dig and hole in the sand and enjoy your very own natural ‘kiwi’ spa. Cathedral Cove has a year round warm coastal climate and is well proven wedding destination with lots of scenery and activities on offer. Our wedding package consists of the following. Contact us for an information pack complete with prices. We have a variety of options so contact us for your convenience. We can pre book all your activities and adventures.